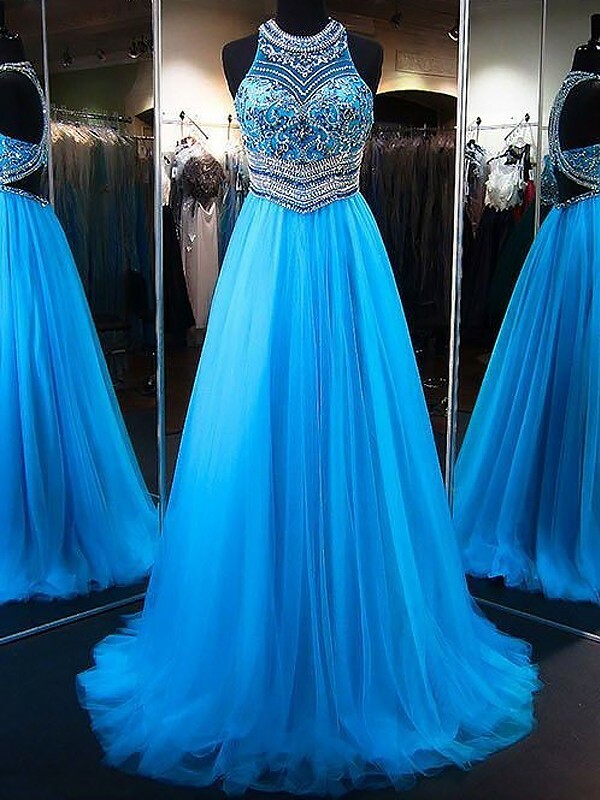 Cheap Blue Tulle Jewel A-Line/Princess Sweep/Brush Train Dresses in Formal Dresses - Special Occasion Dresses at Bonnyin.com.au online Australia with high quality and affordable price. The colour was amazing, looked so good! All the details are perfect. Would recommend your website to all my friends and family. Thank you. The dress was absolutely beautiful and I sent in my custom measurements and the color I wanted and they did it all for no extra charge!! The seller was so amazing and the dress arrived very quickly. I highly recommend this dress.